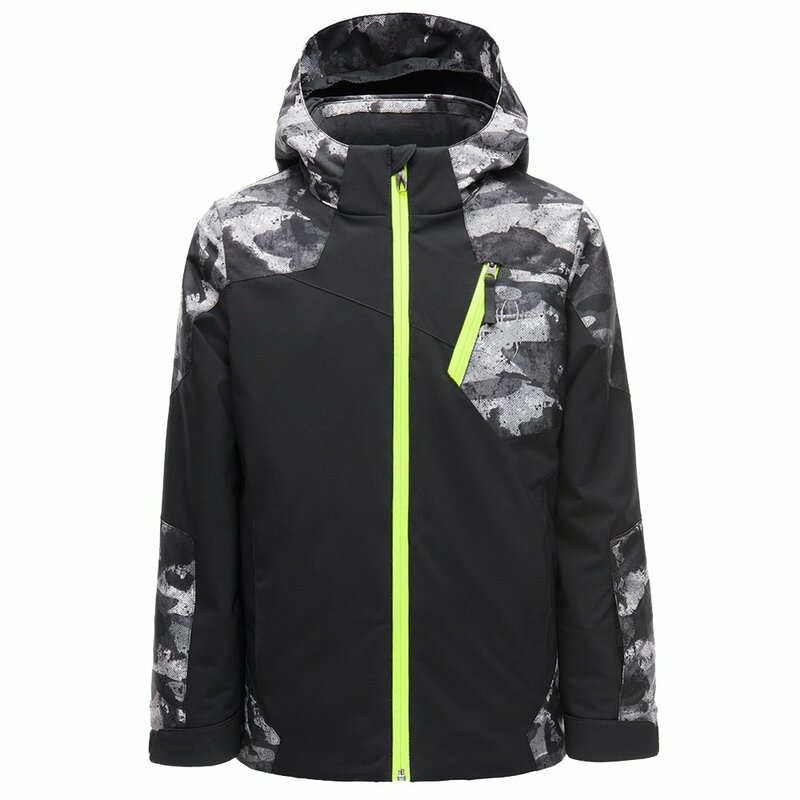 Asymmetrical styling and contrasting colors and patterns make the Spyder Chambers Insulated Ski Jacket a favorite with boys of every ski ability level. But it’s not just the design they’ll dig since this jacket uses HydroWEB™ technology to ensure he stays dry on snow days. The powder skirt helps with that too, of course, as does the additional DWR waterproof coating. The Spyder Chambers Insulated Ski Jacket is stocked with other useful features for kids as well, like chest pockets, an adjustable hem, and 140g of synthetic insulation. "It says "adjustable hem", is that for growth?" "Thank you for your inquiry. The Spyder Chambers Insulated Ski Jacket has a draw-cord hem and adjustable cuff tabs with gussets and interior stretch cuffs with thumb holes. We hope this information helps! "